If “new year, new bod” has been your motto thus far, a stylish summer wardrobe is just what you need to show off those hard-earned fitness gains. Many can agree, Miami residents are never short of fit, fearless and fashionable. WHAT IS SUMMER WITHOUT A KILLER SUIT? Lastly, every great suit needs the right beachwear accessories. Jessica suggests adding a unique hand painted hat by Isla + Mar, a handmade crochet coverup by Anna Kosturova, a bold and beaded bag by Ka’imima and jeweled sandals by Mystique to complete your look. Save the date for Mermaids Boutique’s 18th Anniversary kick-off summer sale, featuring giveaways, raffles and (drumroll) a storewide 15% discount on June 22nd. It is a great time to purchase all of your summer needs under one roof! 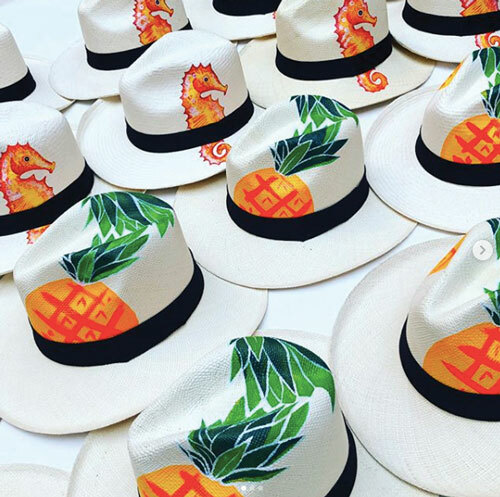 IF CONTEMPORARY FASHION IS MORE YOUR THING, you will want to visit AT EASE ON SUNSET, (Instagram: @ateaseonsunset), 5844 Sunset Drive, where you will always receive personalized service with a smile (and, maybe a text or two). Owner Cindi Zilber and her staff, treat clients to a tailored shopping experience. 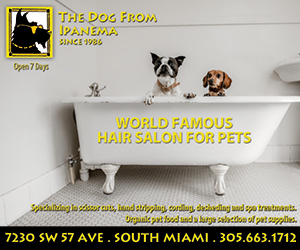 They truly know their customers and know what they want, which is why they are first to send brand new arrivals in a picture text to their loyal clientele. The vibe there truly lives up to its name. Their comfortable couches, cozy environment and friendly knowledgeable staff makes shopping a breeze! All very apparent after browsing their amazing easy to wear assortment of clothing. 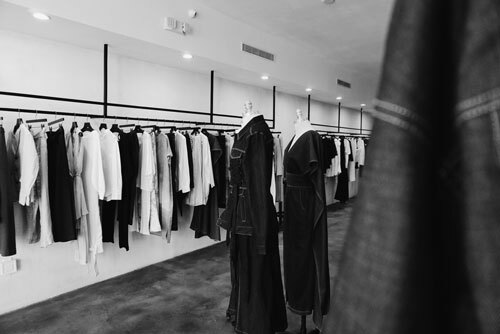 Currently, At Ease carries 20+ luxurious designer sportswear labels which include: Alexander Wang, Current Elliott, Helmut Lang, Rag and Bone, Rick Owens and Ashley Olsen & Mary-Kate Olsen’s The Row to name a few. Labels aside, Cindi suggests classic, worn in pieces such as: lightweight sweats, a great cropped white jean and a simple white and black tee to add to your summer ensemble. When it comes to the basics, you cannot go wrong with luxury staples and rich, cozy textiles that look great and feel great to wear. If a perfect summer outfit is what you are looking for, At Ease can certainly help. Cindi suggests a pull on wide leg cotton pant, simple tank, and pair of flip flops. 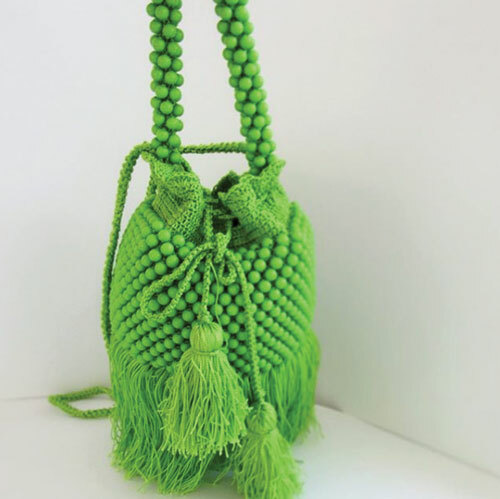 To complete the look, a throw on bag (like, Elisabeth Weinstock’s Tokyo bag) is simple and versatile. 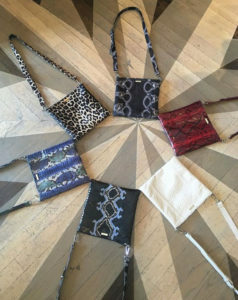 You can wear it as a cross-body bag by day and transform it into a clutch at night. Taking a cue from local Maria Tettamanti, a power suit in bubblegum pink this summer is sure to get you noticed. Whether you opt to wear it with a tank underneath or not, head-to-toe looks like this demand attention and play up your femininity factor. Wear it proudly! Mix and match gold and black accessories to make it pop. For the ladies who prefer to shop online, visit ateaseonline.com to feast your eyes on all of the latest and greatest pieces you will want to live in all summer long. Wondering what new hues you should keep your eye on for Summer 2018? Think soft and jewel toned. It is as easy as swapping your usual dark hues out for pretty pastels and bold shades of red, violet and blue. Fashion runways dictate the trending shades in seasons to come, with summer 2018 fashion shows expressing head-to-toe looks in lilac, bubblegum pink, Cinderella blue, cherry red and Pantone’s color of the year for 2018- Ultra Violet. Classic head-to-toe red never goes unnoticed. Summer in Miami is hot, passionate and lively – with clothing to match. Add some sizzle to your summer by flaunting an outfit like this to your next soiree. Do not be afraid to wear head-to-toe Lilac this season! A monochromatic look like Jourdan’s does not have to be paired in the same exact color family. In fact, wearing similar hues of Lilac is more appealing and on-trend. In this look, you can see that her skirt is a shade or two darker than her sweater. She balances out her head-to-toe lovely lilac ensemble with light accessories and retro cat eye shades. Anyone can pull off this monochromatic blue look. Swap out your fifty shades of gray with a slew of Cinderella blue pieces. As you can see, it makes one fabulous outfit! Automatically feel like royalty by adding the 2018 Pantone color of the year, Ultra Violet to your summer wardrobe. This color screams confidence and class. A FAN OF HEAD – TO – TOE COLOR, Somi’s OHM BOUTIQUE, (Instagram: @ohmboutique), 1561 Sunset Drive, is a fan of head-to-toe color. In fact, owner Vanessa Sauma cannot keep jumpsuits in stock for too long. Due to popularity, they are flying off the shelves. 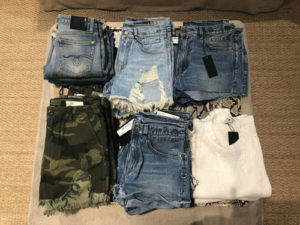 When asked what key summer pieces to purchase this season (besides a great jumpsuit), Web Manager for OHM boutique Tatiana Torres suggests, tie-front crop tops, classic denim skirts, overalls, shorts and rompers. OHM boutique carries clothing that’s simple, beautiful and effortless. Never flashy or asking for too much attention, OHM boutique has easily gained many social media followers and loyal customers since their opening in 2010. They receive multiple shipments in a week to keep up with the demand. All the more reason to follow OHM boutique on Instagram to be one of the firsts to get your hands on an item. 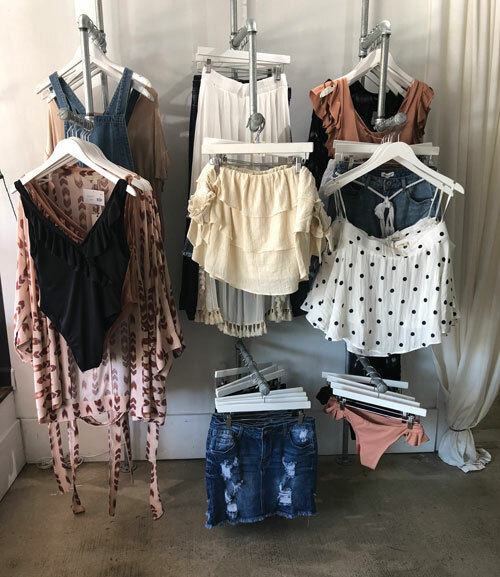 It is always a pleasure to shop at OHM Boutique for great local brands and easy to wear transitional pieces that carry you through season to season. 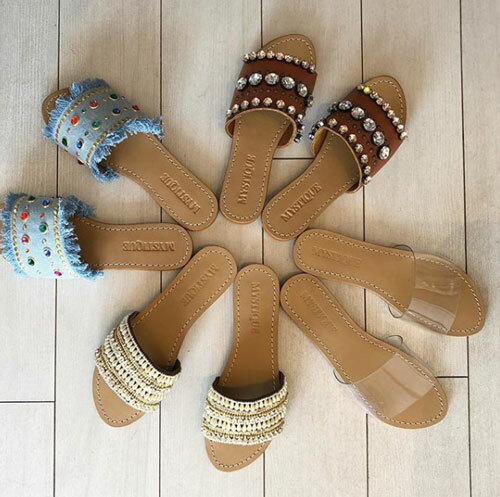 FOR A REFRESHING LOOK AT PRACTICAL AND UNIQUE FASHION, visit VOLVER, (Instagram: @volvershop), 5807 Sunset Drive, owner Daniella Arellano carefully curates every single collection on display. Drawing from her experience working with a designer in Singapore and a degree from the Miami International University of Art & Design, Dani offers a distinctive shopping experience from the moment you walk into her shop. Volver’s top brands are from Asia and Europe with a casual yet luxurious feel. Aside from clothing, you can purchase home scents, perfume and even request floral design and styling services. For summer, Dani suggests adding the following items to your closet: pencil skirts in denim and cotton, high waisted jeans, a loose blouse, tailored suit and anything with a vintage floral print. Volver’s color palette for summer displays neutral shades such as: off white, cream, oatmeal and soft pastel shades. 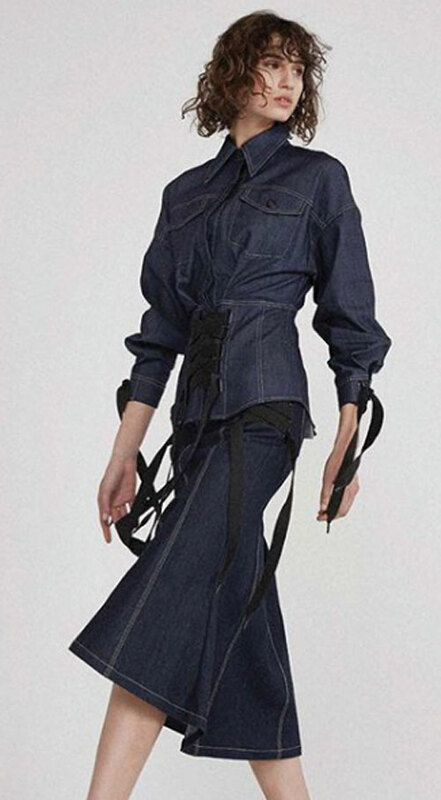 Ahead of the curve, Volver is the first to carry Korean designer Nohke in store. She happily carries emerging label Pink Filosofy and tends to sell out of those items quite frequently. Silhouettes play a huge role in summer fashion with Volver displaying all the current figure flattering styles. When asked to create the perfect summer outfit, Dani opts to keep it simple and minimalist. She suggests adding a high waisted jean, loose top, great sandals and a crossbody bag. Volver is a one of a kind gem in the heart of South Miami. Visit when you have plenty of time to browse and sift through every carefully curated piece in store. WHEN IT COMES TO SUMMER FASHION, don’t be afraid to experiment with color or try something new. Shopping in SOMI is unlike shopping at any department store. You get personalized one-on-one service and different, easy to wear clothing you will want to live in all summer long. Are you ready to experiment this season? The time is now. Casey Garcia is a self-described “Social Media Nerd” that loves what she does for a living and is truly #NeverNotWorking. 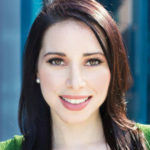 She graduated from the University of Miami with a Bachelors of Science in Advertising. When she’s not working, you can find her thrift shopping, consignment shopping, online shopping, or just shopping. A native to Miami, but formally an LA girl for a brief point in time, she loves making connections wherever she goes.